It was a nice day for the return of this great track, the triangle returned and it was the second race of the Triple Crown, Tony Kanaan won the Indy 500, so he had the chance to get the million dollars. On lap 53, Takuma Sato had some problems to overtake Pippa Man (who was lapped), and he was passed by Tony Kanaan. Drivers of Chip Ganassi were being the highest climbers, Scott Dixon was 8th after starting 17th (due to a penalty) and Dario Franchitti was 11th after starting on P20. On lap 63, the window of second pit stop was opened, and Takuma Sato crashed into Ryan Hunter-Reay when they were entering to pits. It was a strange accident that let both drivers out of the race, there was a full course yellow and the pit lane was closed, so it was a bit of misfortune for drivers who still hadn’t pit (as Will Power, Charlie Kimball, Scott Dixon, Dario Franchitti, Justin Wilson…), but certainly almost all drivers still hadn’t stop, so it wasn’t a drama. 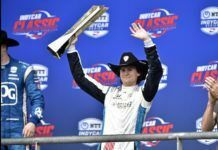 Tony Kanaan was the new leader in front of Marco Andretti, Helio Castroneves, Simon Pagenaud and Ed Carpenter. 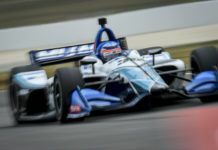 On the restart, Marco Andretti made an impressive move to take back the lead, Dixon was now fifth and Will Power sixth, in front of Charlie Kimball and Dario Franchitti. Hunter-Reay was able to come back to race after 21 laps, it was impressive because his car was really broken after the crash. Marco Andretti pitted again on lap 95, and there was another bad pit stop or the Andretti crew, Tony Kanaan pitted on next lap and it was also a bad stop, he was overtook by Simon Pagenaud, but the Frenchman lost the gained positions in one lap, Scott Dixon was the new leader after everyone had pitted, Tony Kanaan second, Will Power P3, Marco Andretti P4, Simon Pagenaud P5 and Helio Castroneves lost three positions and was P6 in front of Dario Franchitti. EJ Viso was out of the race because of mechanicals problems. 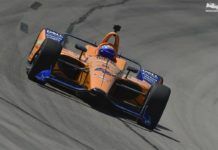 Tony Kanaan passed Scott Dixon, but the Brazilian broke his front wing a bit, and he decided to do an extra stop for a new wing, losing a lap with the leader, who was now Marco Andretti, in front of Will Power and Scott Dixon. 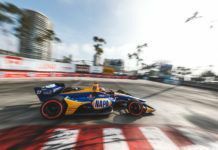 The end of the race was going to be much more interesting than the start, now there were lead changes and top 10 was very close, Scott Dixon was second after starting on P17. 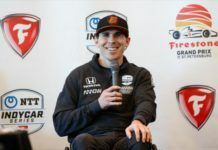 Dario Franchitti was third after starting on 20th, and Charlie Kimbal fourth after starting on P12, so it was an excellent race for the Chip Ganassi, Will Power lost some positions to P5, and Helio Castroneves was P8, so Team Penske was doing the opposite of Chip Ganassi. Marco Andretti has going back on the last stint, it was a shame after leading a lot of laps. 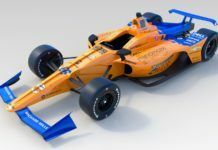 Finally, Scott Dixon has been the fastest man and has won the race, in front of Kimball and Franchitti, 1-2-3 for Chip Ganassi, Will Power recovered one position to P4 and Josef Newgarden has completed the top 5.